It’s the time of year again for everyone’s favorite holiday – April 20th! In the last 20 years, as cannabis culture and accompanying policies have become more prevalent in mainstream societies, a new day of celebration has emerged across the planet. 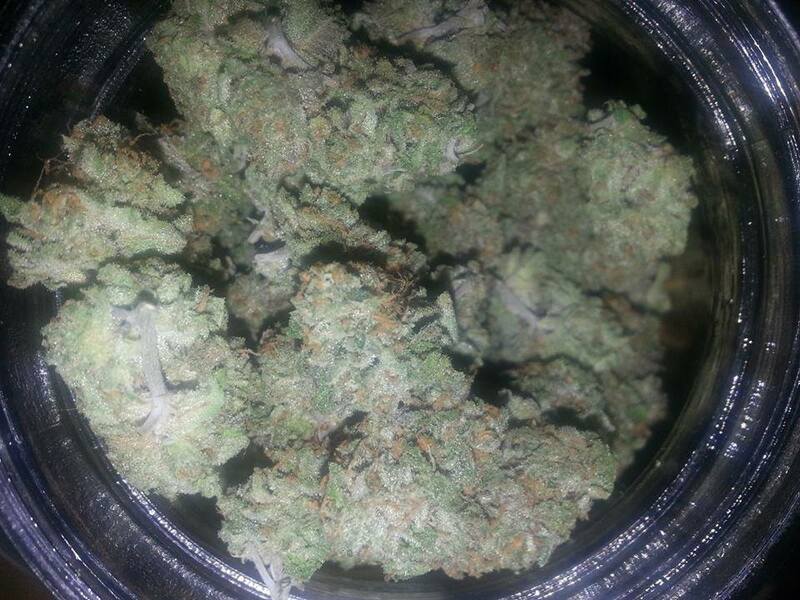 It’s the time now known around the world as the time to consume cannabis – 4:20! There is still much debate about the origin of the 4-20 moniker, and many interesting theories have emerged over the years, to which various supporters of such speculations will swear. Regardless of how or why we got here, cannabist amateurs and aficionados alike will find numerous parties and activities around Portland to celebrate the holiday in one of the world’s most friendly locations. Herb.co, Leafly, and PDX Pipeline have all put together some information on events you’ll want to jump on with your friends for this Thursday and this weekend. Of course, none of these will compare to meeting rock icon and international legend Henry Rollins next week at the Oregon Marijuana Business Conference and being in an information class leagues ahead of other cannabis entrepreneurs. The Oregon Marijuana Business Conference (OMBC) on April 28th in Eugene presents a golden opportunity for those in the cannabis industry, and for those who are thinking of joining, to learn the latest about new rules and regulations, ask burning questions of licensed attorneys, and network with other members of the cannabis business community. Be sure to get your tickets by April 26th, and save money with Early Bird Ticket prices! Become a part of the Oregon cannabis industry which is leading the way on national politics. The OMBC is the must-attend event for the Oregon cannabis community, so get your tickets today! Virtually everyone in the Oregon cannabis community understands that new rules and regulations can pose serious obstacles for those in the industry, but new lab testing rules have proven to be the biggest challenge yet. Starting on October 1st, every regulated medical dispensary and retail store is required to only accept marijuana and marijuana products from growers and processors that have tested their goods at labs certified by the Oregon Environmental Laboratory Accreditation Program (ORELAP). 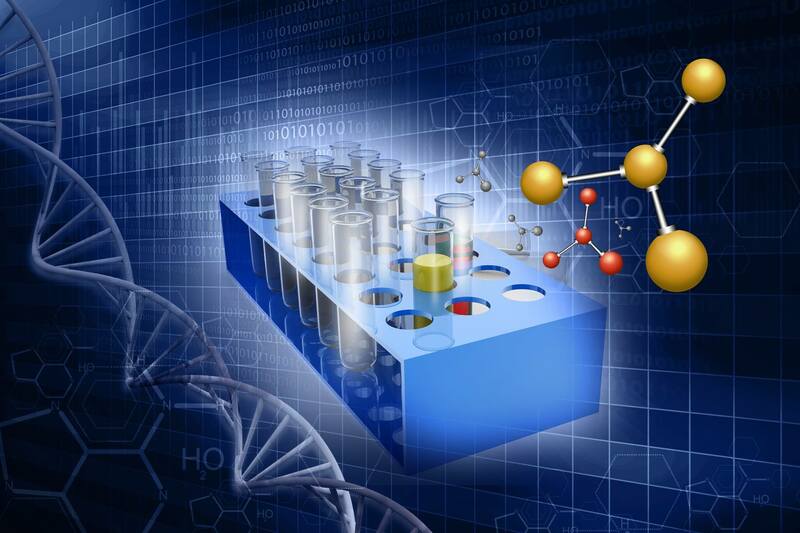 The lack of access to ORELAP certified labs has led to a bottleneck in the supply chain and an increase to the costs of tests. Some makers of marijuana concentrates, extracts and edibles are sounding dire alarms about how the state’s new testing rules are holding back their products from the market and jeopardizing their businesses. They complain that the state lacks approved labs to carry out all of the required tests, causing long delays, forcing them to mull layoffs and generally leaving them out of the state’s new recreational marijuana program that opened this month. The state has 18 accredited and approved labs for marijuana; only four are approved to test for pesticides, a hallmark of Oregon’s marijuana regulation. The Oregon Liquor Control Commission (OLCC), the regulatory body in charge of the legal cannabis market, called for input from industry participants, many of whom have called for a pushback against the new lab regulations. The OLCC has been relatively adaptive to the needs of the cannabis market, so they will hopefully adjust as needed to keep the burgeoning cannabis market. Attendees of the Oregon Marijuana Business Conference (OMBC) will have the opportunity to hear from industry entrepreneurs that have first-hand experience with these new lab requirements as well as Rob Patridge, Chair of the OLCC. While these new law requirements are posing serious hurdles to the industry, those that can jump over these hurdles will have a great opportunity to thrive in the Oregon cannabis market. If you are in the Oregon cannabis industry, or thinking of joining, get your tickets to the OMBC and have your answers addressed by entrepreneurs, experts and the Chair of the OLCC. Mark your calendars because the Oregon Marijuana Business Conference (OMBC) is bringing its trademark blend of business, activism and culture to beautiful Ashland for another information-filled conference on November 19th at the Ashland Hills Hotel & Suites. In addition to the latest information on both medical and recreational laws and regulations, attendees will have great opportunities to network with others in the cannabis community. The timing couldn’t be much better for the Oregon cannabis industry to gather in Ashland for the OMBC. New statewide packaging, labeling and testing regulations began on October 1st. Many medical marijuana growers are now required to report monthly to the Oregon Health Authority. Also, the November 8th elections will determine whether various cities and counties across Oregon will enact bans on marijuana businesses. Other cities and counties have imposed their own regulations and fees, adding to the state’s regulatory hurdles and the federal guidelines that impact the entire cannabis industry. Additionally, more big changes to the recreational and medical marijuana systems are to be expected after the next legislative session. The OMBC will be bringing together industry lawyers and entrepreneurs that have navigated Oregon’s bureaucratic hurdles to provide an update on the local, state and federal regulations affecting the cannabis community. Attendees will have the opportunity to ask their burning questions, getting answers from attorneys and those that have first-hand experience in the industry. OMBC attendees will be treated to keynote speaker Ed Rosenthal, known as the Guru of Ganja for his extensive knowledge of cultivating the cannabis plant. Rob Patridge, Chair of the Oregon Liquor Control Commission, will also be at the OMBC, discussing OLCC regulations and will take hard-hitting questions from attendees. If you are involved in the recreational or medical marijuana programs, or thinking of joining, then the OMBC is the conference that you must attend. The networking opportunities include an exclusive after-party headlined by hip-hop legend Del the Funky Homosapien and an appearance by icon Tommy Chong. Information about the conference, including speakers, topics and exhibitors are available at the OMBC website. Considering the many changes to our marijuana laws and the emerging opportunities in the Oregon cannabis industry, tickets are going fast. Get your tickets before early bird pricing ends on November 2nd. Sign up for email updates about the conference by signing up on the contact form on the OMBC website. For more information visit http://www.oregonmbc.com or call 541-864-0090. You can also follow the OMBC on Facebook and Twitter. 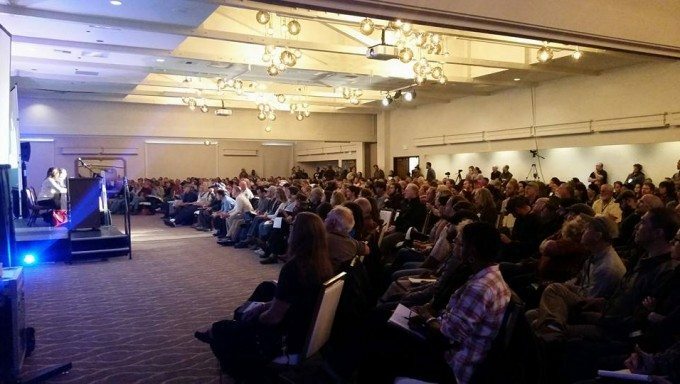 The Oregon Marijuana Business Conference (OMBC) was the biggest yet, bringing together hundreds of cannabis industry entrepreneurs and advocates this weekend in Eugene to hear about the latest developments in Oregon marijuana law. Not only was the conference the best-attended OMBC, but the consensus from attendees was that it was also the best conference yet. While every OMBC has been important, as Oregon’s cannabis laws are always changing, this OMBC was the first one following the acceptance of recreational licenses by the Oregon Liquor Control Commission (OLCC), the agency regulating the state’s regulated adult-use cannabis system. OLCC staffers were on hand to walk attendees through the application process and answer any and all questions industry participants had. Experienced entrepreneurs, activists and lawyers provided details of Oregon’s current cannabis laws, from local to state to even important federal developments. State Senator Floyd Prozanski discussed his feeling about legislative and administrative developments and provided a glimpse into future sessions at the Oregon Legislature while Aaron Smith of the National Cannabis Industry Association provided the latest on federal law. Of course, Dr. Carl Hart and cannabis icon Tommy Chong were well-received as attendees were captivated by the two drug policy reform rock stars. Dr. Hart exposed long-held Drug War myths regarding many drugs and implored the cannabis community to continue improving the law and to lead by example, so other states know that they can end harmful prohibitionist policies and still prosper. 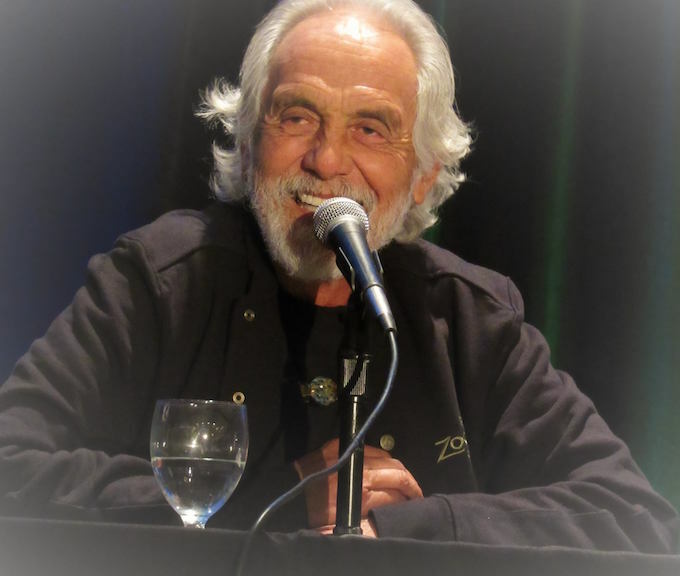 Tommy Chong, with the assistance of Celebstoner’s Steve Bloom, revealed many stories of his life and career and had attendees laughing and engaged. We are very thankful of everyone that helped make this OMBC a success and we are already looking forward to going international for the next conference as the team behind the OMBC has been working hard to make the Vancouver International Cannabis Business Conference (ICBC) an amazing event that will bring the best and brightest minds in cannabis, in Canada, and across the globe, to celebrate the gains made in Canada and helping prepare entrepreneurs for the upcoming Canadian cannabis market. The Vancouver ICBC is a two-day event on October 13-14, get your tickets here. The Oregon Marijuana Business Conference (OMBC) will be featuring attorneys and experts discussing all aspects of Oregon’s marijuana laws this Sunday in Eugene. Cannabis industry entrepreneurs, and their attorneys, have to navigate laws, rules and regulations that are constantly changing and the OMBC will provide the information to ensure that business owners, and those seeking to get into the marijuana industry, are prepared. The conference has applied for CLE credits with the Oregon State Bar and three credits are pending; the conference group has successfully been accredited for CLE credits in at past events. The Oregon Legislature passed new marijuana legislation during the 2016 and 2016 legislative sessions, leading to changes in the medical and recreational systems. Those statewide legal changes have then led to new ordinances passed by many cities and counties across the state, as well as new rule changes by the Oregon Health Authority and the Oregon Liquor Control Commission. Throw in the fact that new amendments have been passed and are on the horizon at the federal level, and it is clear that even the most experienced professional needs updates regarding this fast-moving industry. Experienced cannabis law attorneys Leland Berger, Paul Loney, Robert Graham and Brian Michals will be covering marijuana laws impacting all cannabis entrepreneurs, including growers, processors and retailers. Aaron Smith of the National Cannabis Industry Association will be speaking about federal law and State Senator Floyd Prozanski will be updating attendees on legislative matters. Staffers from the OLCC will be on hand to walk attendees through the recreational licensing system as well. In addition to the legal and practical information gained by attendees, the OMBC features a keynote address by Dr. Carl Hart, a renowned addiction and drug expert from Columbia University. Cannabis icon Tommy Chong will closing the conference program with a celebrity interview, where he will discuss his life and career, including his entrance into the cannabis industry. There will also be an exhibit hall, an after-party for attendees and a separate Saturday evening VIP event. Tickets are $199 for the conference, $299 includes the Saturday VIP event. It is clear that the states have led the way on cannabis law reform and that the federal government is playing catch-up. However, there are new and upcoming developments at the federal level that impact the cannabis industry. In many ways, Oregon, with representation from Earl Blumenauer, Jeff Merkley, Ron Wyden and Suzanne Bonamici, is leading the way at the federal level, so it makes sense for Aaron Smith, Executive Director of the National Cannabis Industry Association, to update Oregon entrepreneurs at the Oregon Marijuana Business Conference on April 24th. “More than 80 percent of Americans believe patients should have legal access to medical marijuana. Sen. Grassley could be helping patients in need, supporting legitimate small businesses, and respecting the overwhelming will of the voters,” said Aaron Smith, executive director and co-founder of NCIA. “Instead, he plays obstructionist again, refusing to even have a conversation about a bill that has the support of Republicans and Democrats alike. In addition to the Carers Act, Sen. Bernie Sanders’s Ending Federal Marijuana Prohibition Act also sits bottled up in Sen. Grassley’s Judiciary Committee, despite a recent national AP poll showing that 61% of Americans support the legalization of cannabis. While the advances at state law are very welcomed, the cannabis industry won’t get a fair shake until federal law changes. An amendment allowing states to move forward with medical marijuana business regulations without federal interference has passed two consecutive years in a row, but an amendment protecting recreational laws, sponsored by Rep. Blumenauer, fell just several votes short. In addition to protecting the cannabis community from federal arrest and prosecution, banking access and tax reforms are desperately needed. NCIA is helping lead the way in Congress and around the nation, with a full-time lobbyist in our nation’s capitol and mobilizing entrepreneurs across the country. Please join NCIA’s Aaron Smith at the OMBC as we cover the latest in local, state and federal law. For tickets or more information, please visit: www.oregonmbc.com. Oregon’s marijuana rules and laws are ever changing. The 2016 legislative session made several changes to both the state’s medical and recreational laws. Following the legislative session, both the Oregon Health Authority (OHA) and Oregon Liquor Control Commission (OLCC) have started rulemaking procedures that will impact patients, consumers, providers and cannabis businesses. While it can be very confusing for the cannabis community and industry participants, the Oregon Marijuana Business Conference (OMBC) on April 24th in Eugene, will provide a complete breakdown of current laws and give a glimpse into future changes. Entrepreneurs always pack the OMBC for the latest medical & recreational law information. Unfortunately, OHA is poised to move forward with too-restrictive limits on cannabis-infused edibles. On the positive side, the OLCC will be moving forward with micro-canopy growerlicenses that will allow Oregon’s small growers compete in the burgeoning market. Complicating issues even more, the city of Portland is considering raising local licensing fees, while other cities will be holding votes on whether to repeal bans on marijuana businesses. It can be overwhelming to keep up-to-date with marijuana laws and the federal, state, city and county level while dealing with rules from two separate agencies, so the OMBC is bringing inadvocates, government officials, industry participants and lawyers to help you navigate the system. The OMBC has long kept activism at the forefront of our conference’s agenda and brought together lawyers and entrepreneurs to help answer all of your burning questions. One difference in this year’s OMBC is a panel that includes members of the OLCC that will help walk you through the state’s recreational licensing system. 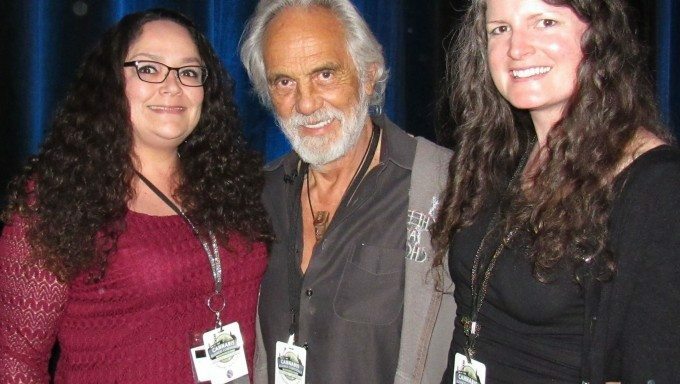 Tommy Chong takes time to meet fans, including advocates like Sunnie Sanchez & Sarah Duff. In addition to covering virtually all aspects of Oregon marijuana law, the OMBC, as always, will give entrepreneurs a great opportunity to network with others in the industry. 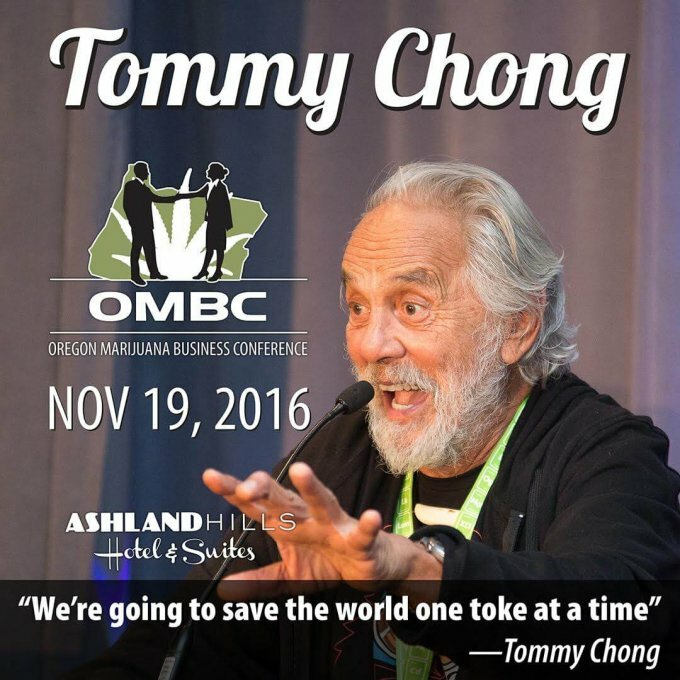 A VIP party featuring the brilliant Dr. Carl Hart and a conference after-party, featuring the great Tommy Chong, will ensure that the OMBC social events will be unlike any other conference’s in Oregon. Conference tickets are only $149 until Friday, so get your tickets now before our latest one-of-a-kind event sells out.